With players linked to Liverpool on a daily basis throughout the summer, we now often hear of the “transfer committee” at the club, something that managing director Ian Ayre explained recently. 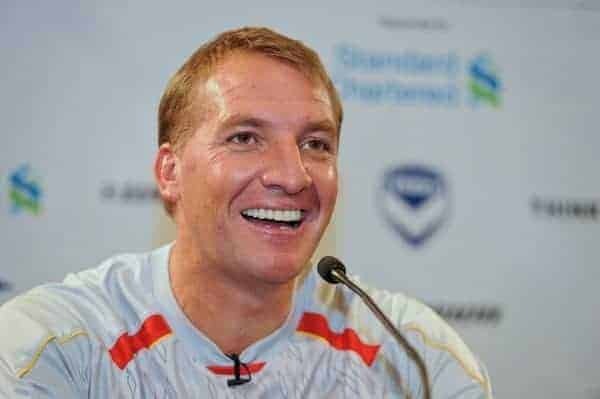 Since the departure of former director of football Damien Comolli in April 2012 and the subsequent appointment of Brendan Rodgers as manager that summer, Liverpool have reshaped their structure and taken a collective approach to the purchasing of players – and also wage structure. So, who are the people involved in the process? So, Rodgers briefs his team on the positions to fill, the scouting team then provide recommendations and the committee collectively value the player accordingly, in terms of value and also wages. Fallows, along with chief scout Barry Hunter, joined Liverpool from Manchester City in September 2012, having been approached prior to Brendan Rodgers’ arrival. They were placed on ‘gardening leave’ by City and thus could not officially work for Liverpool in last summer’s transfer window. The appointment of the two was described as a “major coup” by The Liverpool Echo. Fallows was a key part of City’s staff where his role as “Football Scouting and Recruitment Coordinator” involved assigning scouts, filtering reports, preparing recommendations and presentations on the club’s targets, and compiling a database of scouted players. Seemingly his role at Liverpool is of a similar nature. Edwards is the least well-known of the committee. He was appointed at the club by Damien Comolli having worked alongside the Frenchman at Tottenham where he was head of performance analysis. His role with Liverpool changed from “Head of Analytics” to “Head of Performance and Analysis” when Fallows and Hunter, and thus the committee structure, was put in place last year. Edwards graduated from The University of Sheffield in 2002 in Business Management and Informatics. Ayre, born locally in Liverpool, was head-hunted by former owners Tom Hicks and George Gillett. He was appointed commercial director in 2007 where he was responsible for the impressive financial deal with Standard Chartered most notably. 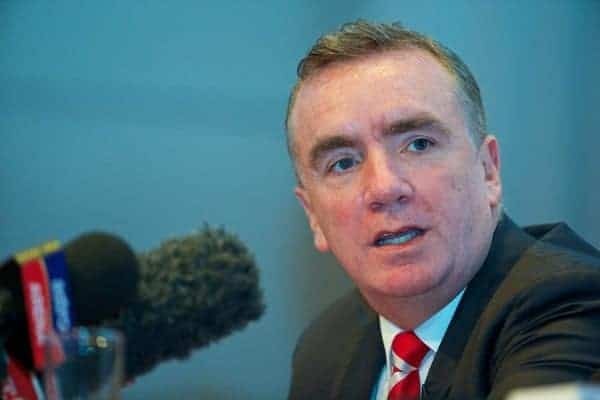 Ayre has previously been chairman of Huddersfield Town FC and was promoted to managing director in March 2011 as Fenway Sports Group began their restructuring process. While some sections of the supporters have criticisms of Ayre, since his promotion Liverpool have shown some impressive financial deals and negotiating – £8.5m for Coutinho, nice work.